I first came across illustrator Dan Smith, when we were both involved in the 1990’s seismic shift in RPG’s towards something a bit more cool and goth flavored. You’ll find some of his art in BLT 25: Black Leather Times Punk Humor and Social Critique from the Zine Revolution. Dan Smith is the only artist to actually get showcased on a BLT cover, once Slash started doing art for the zine. Which tells you just how awesome, cool, and fun Dan Smith’s work is. 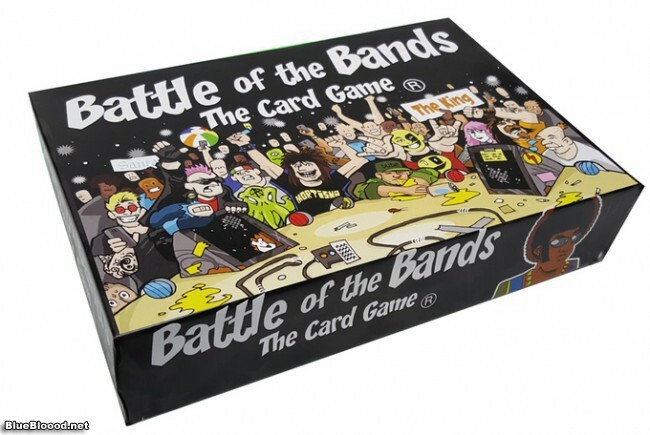 Right now, Dan Smith is doing a Kickstarter for his successful Battle of the Bands card game. I’ve done a couple successful Kickstarters and I’m doing a book project one right now with Kym from RazorCandi.com and something I think we can all agree on is that having to make the video for a Kickstarter is actually super stressful. It is uncomfortable for creative people to be on camera for this sort of thing, even for someone like Kym who is on video and in photos all the time for what she creates. So my hat is off to Dan Smith for figuring out how to make a groovy puppet deliver his Kickstarter video pitch, while still explaining the game well. I wish you could see more artwork on the Battle of the Bands Kickstarter page, but, trust me, Dan Smith’s drawing is really badass and he has a bunch of guest artists featured in the game and its expansions as well. Anyway, I highly recommend this for anyone who enjoys collectible card games, rock and roll, and cool drawings.